THE NATURAL HAVEN: Oil Infused Combs: Gimmick or Real Science? Oil Infused Combs: Gimmick or Real Science? 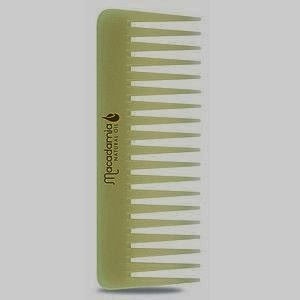 On my research trails, I found that there are a host of oil infused combs on offer with popular oils such as olive oil, argan oil and macadamia oil claimed to be infused into the comb. Yes it is possible to infuse plastic with an oil (Composites Science and Technology, pp 1135-1145, 2004). However, the oil in general has to be chemically modified to allow it to be able to be incorporated into the plastic. In essence, you do not have a reservoir of oil and plastic separately but rather just one piece of plastic. If you are a super geek, look up epoxidised soybean oil! 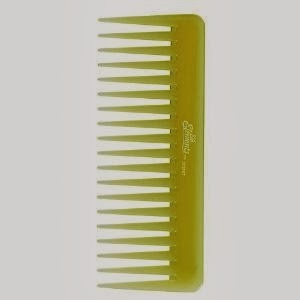 Q2: Can these combs do what they propose. I have not found a single study by any of the companies that proves any of their claims. I am definitely open to seeing a study but until such time, I am resoundly calling oil infused combs for the purpose of releasing oil a GIMMICK (bold and all caps, just so you don't miss it :)). There is no evidence that I have found to substantiate that an oil infused comb would actually release oil while detangling. I can certainly say that from a materials science perspective that it is possible that if you rub your hair against any plastic comb, it may be possible for plastic from that comb to be found in trace amounts (i.e super low levels, nothing that would actually constitute a coating of oil). 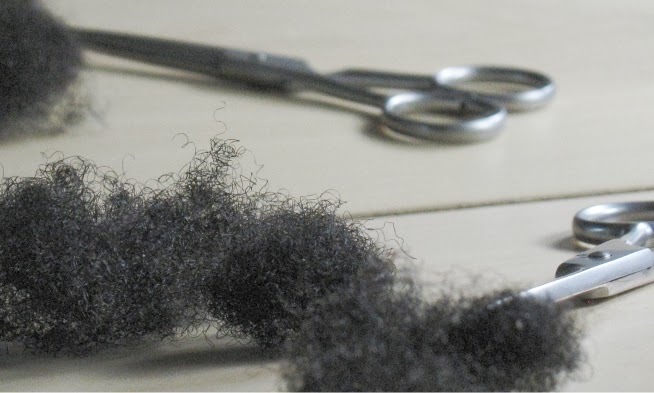 :-( I bought 2 Hercules Sagemann seamless combs after reading and watching rave reviews. I got the magic star 9 and the lady star. The ORIGINAL ones from Germany. I used them only twice and never again since. I was dissapointed to say the least, because I paid a ridiculous amount of money to get them. I have since replaced them with very cheap but well made seam combs which are fantastic. Just recently I have decided to stop using combs entirely to see if I can retain length. I have never believed or bougth into oiled combs though. Always knew it was a gimmick. Oh yours is the first negative review of Hercules combs. What did you not like about them? I have the magic star, it works wonderfully for a finger detangling like process, the one thing I do is to make very small sections - 20 or so and then do each section at a time. Sad to hear that the comb was disappointing for you! I'm not sure really, maybe it's me. 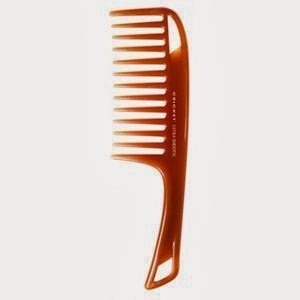 It just doesn't feel any different from my old comb. I still feel the snag and everything else that combs with combing my hair. Thank you for this post. I too thought that these combs were a waste of money. I do believe that they are good as a wide tooth comb, but nothing more. I always wondered about this. Seems like another gimmick...and your right, I'll wait for a study before I jump on the bandwagon. Great post! Haha, nice! I thought those combs were scams. What would you say about those conditioner infused satin bonnets? I recenly emailed Shea Moisture and asked them about their ph value in their products and this was their answer.